A Pipeable Cream Cheese Frosting sturdy enough to be used for piping perfect swirls onto cakes and cupcakes that tastes so good you’ll want to bathe in it! 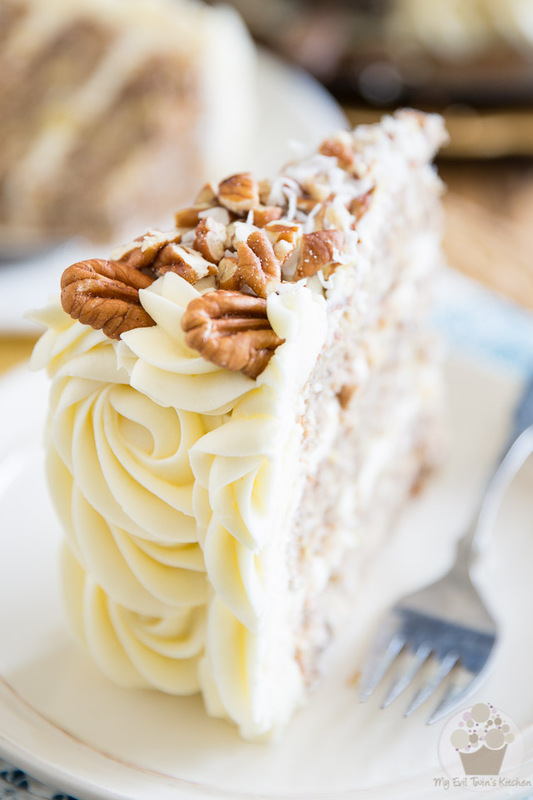 Without a doubt, Cream Cheese frosting would be my favorite frosting in the whole wide world. I guess this comes as no surprise, seeing as how I am such a huuuuge fan of cheesecake. 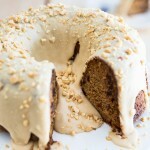 The only problem with most cream cheese frosting is that it is so soft and delicate that it often tends to be very difficult, if not impossible to pipe… swirls have a tendency to lose their shape as soon as they get formed. And, well, something has to be said for swirled frosting. It just so pretty to look at, it seems to make it taste that much better! 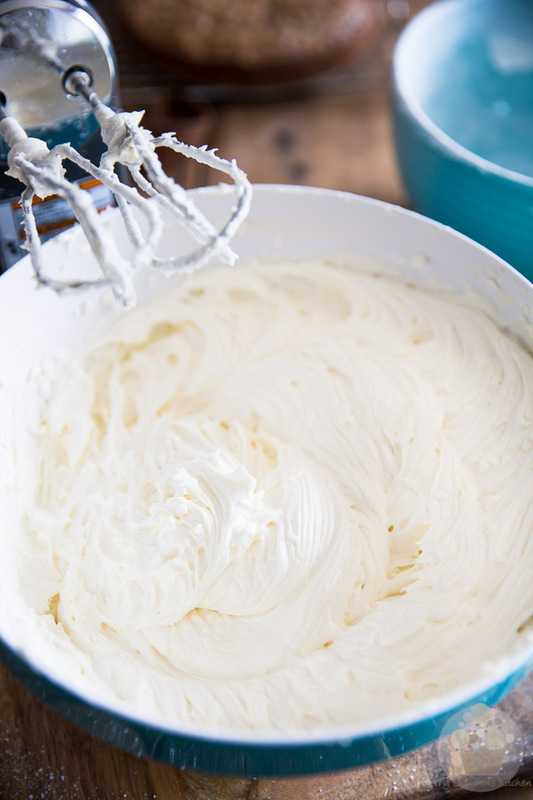 So, if you’ve been looking for the perfect Pipeable Cream Cheese Frosting recipe, rejoice! Your search has just come to an end. Not only is the gorgeous, mouthwatering, drool-worthy cream cheese frosting you’re looking at right now sturdy enough to be used for piping the most perfect swirls onto your favorite cakes or cupcakes, it also tastes so insanely, heavenly good you’ll want to bathe in it… and then roll yourself in coconut flakes and bathe in it again. Why coconut? Dunno… You could very well roll yourself in something else if you wanted to. I just find that coconut and cream cheese frosting make for a really good pair. 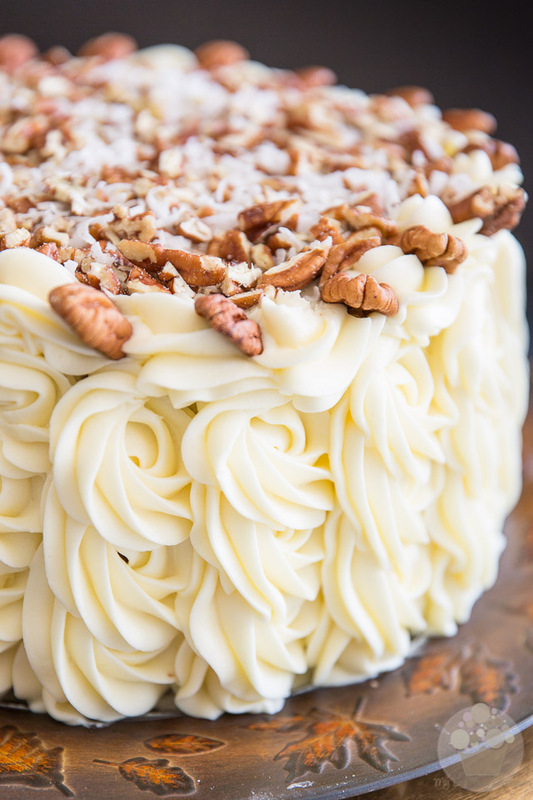 Must be why I chose to add loads of coconut to the Hummingbird Cake I recently made and then covered in all those luscious cream cheese frosting swirls! Just in case you needed to take a closer look… can you get a sense of how dreamy that stuff is? 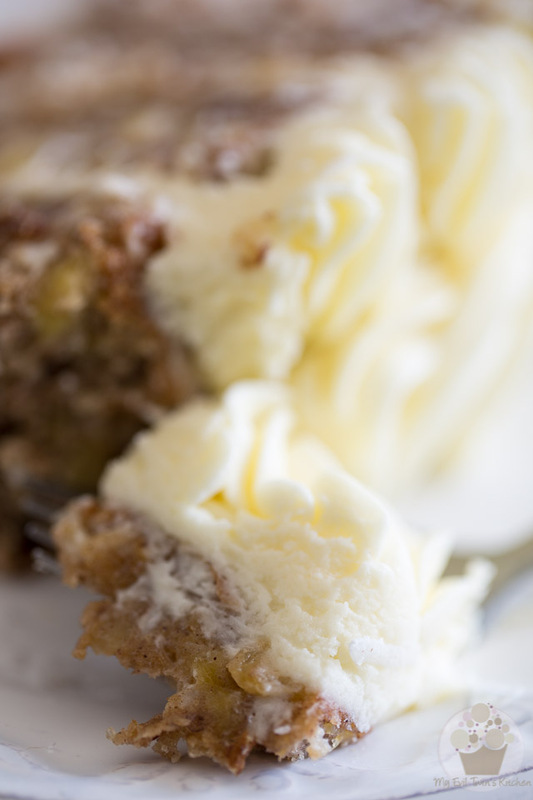 I’ve no doubt that this Cream Cheese Frosting recipe will become your new go-to recipe. And while this may seems like it makes a huge batch, trust me if you’re gonna be piping a whole bunch of swirls, you will be needing a very generous amount of frosting. Besides, I’m sure you won’t mind a little bit of leftover, if you should be lucky enough as to generate some! First, you need to make sure that your butter is at room temperature. While you could definitely get away with using coldish cream cheese, the butter absolutely needs to be soft and easily spreadable to start with. Put that softened butter, cream cheese, a pinch of salt and about a quarter of a teaspoon of pure lemon extract in a large mixing bowl and beat with a hand mixer on high speed until smooth and creamy, about 5 minutes. You’ll notice that I’m not adding any vanilla extract because I like to keep the liquid content as minimal as possible: powdered sugar requires so very little moisture to completely liquefy, I figure the less moisture we add, the better. Besides, the lemon extract adds so much POP to the flavor of the icing, the vanilla would only go unnoticed. Poor thing. Might as well not invite it to the party, if no one’s even going to notice its presence! 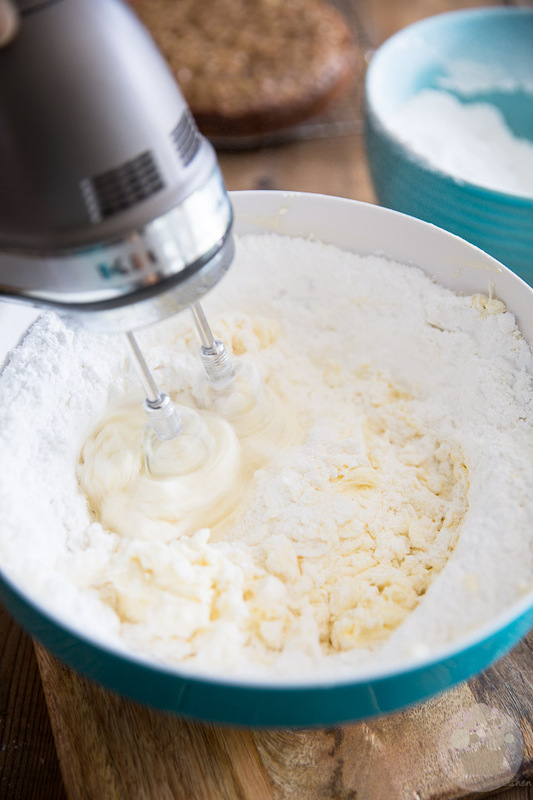 Next, in a separate LARGE bowl, combine a few tablespoons of dry buttermilk and a whole lot of powdered sugar — we’re talking a whopping 12 cups here (thank goodness we didn’t use that vanilla extract!) — and mix with a whisk until well combined and completely lump free. Add this powdered sugar to the creamed butter and cheese mixture a few cups at a time and beat on low speed between each addition until well incorporated. Now about that dry buttermilk: while you don’t absolutely have to add it in, I strongly suggest that you do if you can get your hands on it. 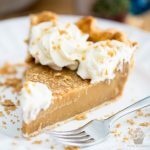 Cream cheese frosting is extremely delicate in nature, and I find that the addition of dry buttermilk helps to stabilize it and makes it a tad firmer and easier to work with. Once all the powdered sugar has been added, increase the speed to high and beat the frosting for 2 to 3 minutes, until it becomes really light and fluffy. Your frosting is now technically ready to use, but chances are it’ll be a bit on the soft side from all that whipping action. If you find that it is indeed too soft to be used right away, refrigerate it for 10 to 15 minutes and then beat it again for a few seconds before you use it. 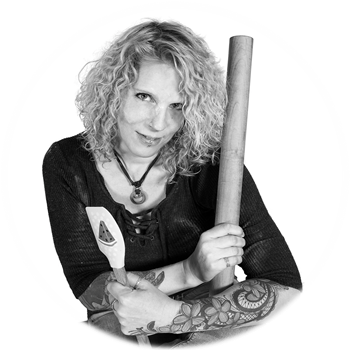 All that’s left to do now is load that piping bag of yours and pipe away to your heart’s content! See how beautiful those swirls are and how well they hold their shape? If it’s particularly warm out, though, or if your cake is taking a particularly long time to frost and you ever feel like your frosting is starting to soften up a bit too much on you, feel free to return it to the refrigerator as necessary so it firms up again. Just a few minutes, followed by a gentle beating with a wooden spoon will do the trick. 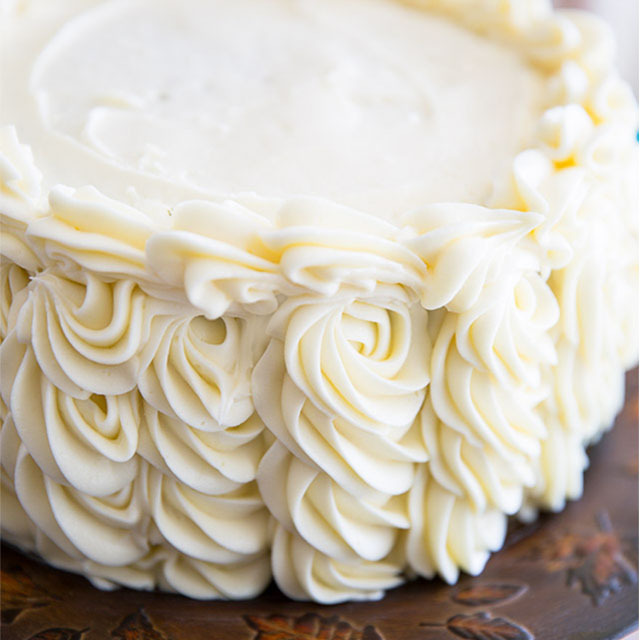 Since cream cheese frosting is so delicate, I strongly suggest that you keep your finished cake, or cupcakes, in the refrigerator until ready to serve. 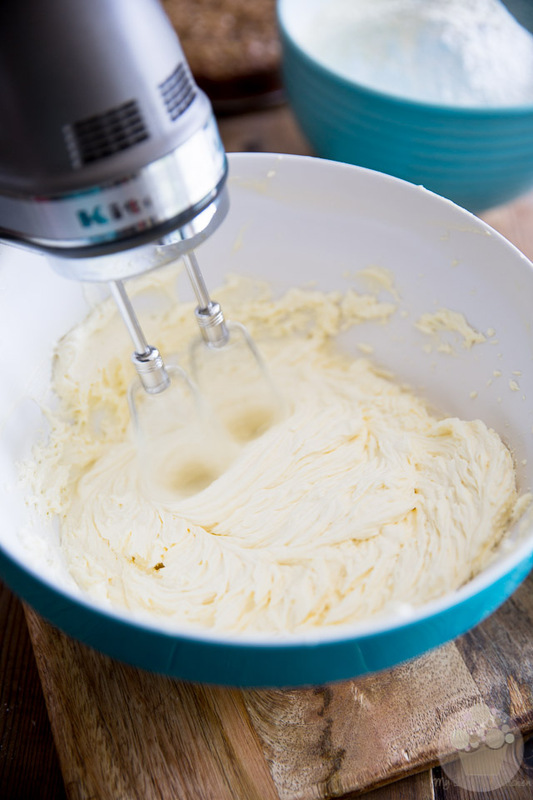 Combine the the butter, cream cheese, salt and pure lemon extract in a large mixing bowl and beat with a hand mixer on high speed until smooth and creamy, about 5 minutes. Combine the dry buttermilk and powdered sugar in a separate bowl and mix with a whisk until well combined and completely lump free. Once all the sugar has been added, increase the speed to high and beat the frosting for 2 to 3 minutes, until it becomes really light and fluffy. If you find that your frosting is too soft to be used right away, refrigerate it for about 10 minutes and then beat it again before you use it. Return to the refrigerator as often as needed. It does look tempting, however, I know just looking at the amounts that I would find it way, way too sweet. 1.5 kg of sugar, no, not for me. Let me know if you ever come up with a less sweet version. I like German buttercream/creamcheese frosting, which contains pudding. Yikes! Thanks for spotting that, Debbie! All fixed now! Honestly I wasn’t expecting much from this recipe, considering the last “perfect pipeable” cream cheese frosting recipe I used was a total disaster. But THIS! This is perfect! A great cream cheese taste with just a hint of lemon.. and surprisingly stiff too! 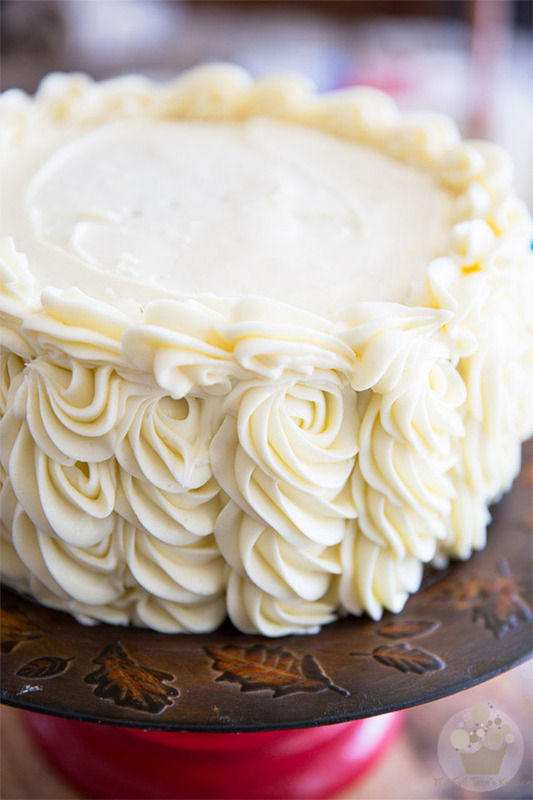 This will be my go-to cream cheese frosting recipe for decorating from now on! I am so thrilled. Approximately how many cupcakes would this frost? I like a nice fluffy stack of piped icing on each cupcake. Thanks! Well, you’re looking at around 8 cups of frosting. Considering that there are about 16 tablespoons to a cup, this translates into roughly 128 tablespoons of frosting. I figure you’d use anywhere from 3 to 4 tbsp per cupcake, so you should be able to frost 32 to 40 cupcakes. 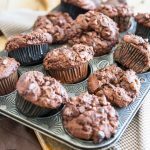 can you use a stand mixer for this recipe? What tip did you use to decorate with? Cake is beautiful. Can’t wait to try this recipe. Lovely recipe but is there a substitute for buttermilk powder… Can milk powder be used instead? Just use a little more powdered sugar, Melanie… that’ll do the trick! Oh my goodness what a wonderful recipe ! I have always made my own almost exactly the same recipe. I never added the buttermilk. Oh my stars, it was perfect! You are amazing. I thank you so much. Gwen, I did the exact same thing! I read the recipe over and over and finally scrolled down to comments and saw someone else also read pineapple as well. That does sound amazing now doesn’t it? I just did the same thought it was pineapple and can I cut the recipe in half? I really wouldn’t see why not, Carol! Gwen and Sandy: at the very top of the recipe/page, there’s a typo- it says Pipeaple and it should say Pipeable (able to be piped using a piping bag). I apologize for my previous comment, l went back and read your recipe, its Pipiaple not Pineapple. Please forgive me.☺ l can’t wait to try it. I will let you know how it turned out. Could I make this chocolate by subbing an equal amount of dutch-process cocoa powder for some of the powdered sugar? Maybe 1 cup? What would you suggest? Is this salted or unsalted butter? I really don’t like lemon, could I just omit the extract for the hummingbird cake or I could do coconut extract? I always use salted butter, but unsalted would work just as well… I find that lemon adds a lot of depth to the flavor of cream cheese, but if you really don’t care for it, you can certainly omit it. Coconut extract would make for a very interesting addition, too! 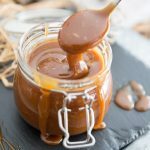 Can I substitute an extract for lemon? I live in a pretty warm and humid country. Was wondering if the frosting all hold up after I pipe them? I intend to decorate rosette on a bday Cake. Also, is the taste of the frostingvery sweet ? On a scale of 10? I believe there is a typo for the first step – reads “First, you need to make sure that both your butter is at room temperature.”, should this be “…both your butter and cream cheese are at…”? How do you properly store the leftover frosting if you don’t use all of it right away? Is that 12 cups of sifted or not sifted powdered sugar? Was this quantity of frosting for a carrot cake with a few layers? Haha! It all makes perfect sense Sheena. I’m pretty sure that it’ll be up to the task; it’s pretty firm, this frosting, and if it ever gets too soft on you, you can always stick it in the fridge for a bit, give it a good stir every 5 minutes or so, until it gets to the desired consistency. Okay, thanks so much for the reassurance. I’m about to make it right now. I’m giving all the credit to you if I can make this work!! : ) Wish me luck! Sorry, a #104 or #103. Thanks!